The 80’s had it all- guitar that spoke to the soul, beats commendable and lyrics that are truly memorable. Those who did music back at the 70’s and 80’s had the best time of their lives and offered their fans music bona fide. While many musicians and styles of music of contemporary times are just as great but there is something about those times that fills us with nostalgia. Musicians of that time later moved on to different activities. Some legends continued to do music to this day while some legends dispersed to different parts of the globe, cherishing with them wonderful memories. That is why launching of Echoes, a musical blog, was such a memorable moment. 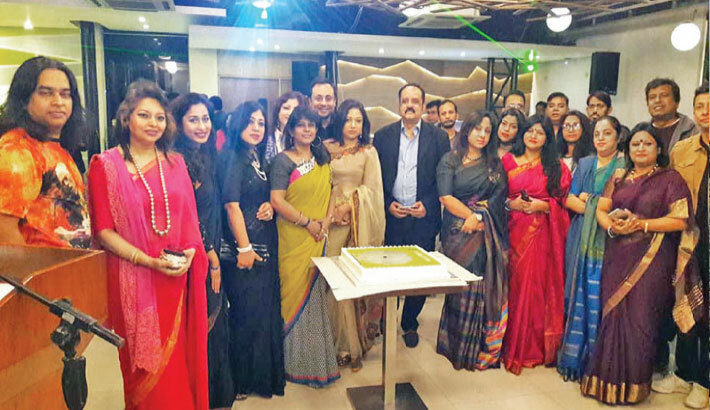 Many musicians back from that time reunited here at Fusion Hunt, Banani to reminisce the good old days and create memories to be cherished in later days. Some of the greatest names from the music world namely Arshad Amin and Imran Hussain (Rockstrata), Romel Ali, Georgina Huq (first female drummer of Bangladesh), et al were spotted at this event. Tanvyr Chowdhury from Poizon Green was there. The band Dew Drops who had released a song in Agontuk 1 was present. Meanwhile Bands Reekar and Rivals did a great performance. A mélange of music styles could be found here. There were covers done all the way from Pink Floyd and Dio to death metal tracks. Besides the music, the camaraderie was beautiful. There were young musicians from the past who had grown up to be successful people- teachers, engineers, etc. Yet the friendship and bonding that was established through music was deep even all these years later. People related to the event said that they hope to organize more such events.